Receive unparalleled services and products from Pro Service Cleaning, LLC. Our business is dedicated to becoming one of the top companies in the industry. We work hard to make sure that we always satisfy your needs. Pro Service Cleaning LLC. has an excellent reputation in providing outstanding services at an affordable price. Pro Service Cleaning LLC. is locally owned and has served South Florida since 2004. We service large National Fortune 500 Companies, as well as, many small local businesses. We are prepared to offer your company the same quality service. Pro Service Cleaning LLC, specializes in thorough, quality cleaning jobs for those looking for only the best in professional cleaning and building maintenance services. Our experienced and dedicated staff uses the latest in cleaning technology to exceed the expectations of our clients with the finest and most consistent cleaning services available. Get in touch with us for a Free Estimate!! Need a professional office cleaner? How about office building cleaners? Looking for an auto scrubbing service? Need something more? Not a problem. 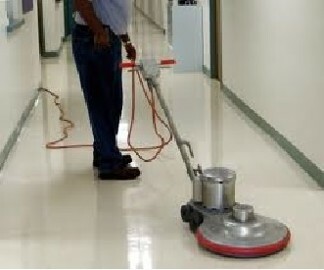 Pro Service Cleaning, LLC provides reliable quality janitorial services, commercial cleaning, office cleaning, hotel cleaning, and other industrial cleaning services to many — including real estate developers, property managers, shopping centers, office parks, healthcare facilities, country clubs, office buildings, factories and business owners. There is no need to worry about all the detailed work that goes into turning a business into tip-top shape, because we can do it for you. We would love the opportunity to show you how our professionals can make your business shine! Our first priority is to find out what services you would need, and how often you would require the service. Our trained staff will be happy to talk to you about your needs and determine how we can best meet them. You will find that our office cleaning service staff is professional and skilled in all areas of the cleaning industry. We Have Multiple-Size Auto-Scrubbing Machines To Clean Any Size Floor! If there is a service you need but do not see on this list, do not hesitate to ask us about it. We can give you a more detailed explanation of our services and tell you about our reasonable professional office cleaning rates and why we are south Florida's best residential/commercial cleaning business. We will provide you with references and testimonials from our satisfied customers.We are a full service cleaning company and pride ourselves on our well-known reputation throughout the community. Whether you need office cleaning, building janitorial service or our other cleaning services, we hope you will check us out. We know you will not be disappointed! We are committed to deliver excellence in everything we do. Our staff knows, that the only way we can become a successful business is by making you happy. Feel confident that you are receiving exceptional products and services by choosing Pro Service Cleaning, LLC.